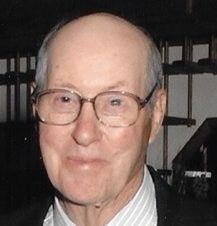 George Albert (Al) Brown passed away at home after an extended illness. Al was born in Gracemont Oklahoma to Irvin and Myrtle Brown, he was the oldest of nine children. He loved TV westerns, John Wayne movies, horses, camping, fishing and spending time with his family. He was a wonderful father, grandfather and great grandfather. He was a dry wall nailer most of his life and retired at the age of 77. Al was preceded in death by his wife Lillian, they were married for 69 years, she passed away June 28, 2017 on Al’s 90th birthday. He was also preceded in death by his son Roger Brown and his granddaughter Kendra Brown. He is survived by his daughters Karen Guzman and Linda (Vern) Eggiman, son Michael Brown, 11 grandchildren, 10 great grandchildren and 3 great great grandchildren. Al will always be remembered for his warm smile and caring personality. He loved God and he loved his family. He was always happy, good natured and polite. He treated everyone with respect and he will be greatly missed. I’ll always remember Al as a ‘Cowboy’, the drywall nailer perfectionist, & a good friend to me. I have a feeling Jesus ushered him into Heaven with Lyn at his side, & maybe some brand new Cowboy boots, hat, & belt with a huge buckle! ‘Welcome to your new home Al’!! Thinking of you today. Lifting you up in prayer. Everett says “I always enjoyed visiting with Al, he felt like a friend”. It was good to know your mom and dad over the years. May your times ahead be blessed with lots of treasured memories. Will be there in spirit of prayer. Thank you for trusting Johnson Funeral Home. May he rest in peace.